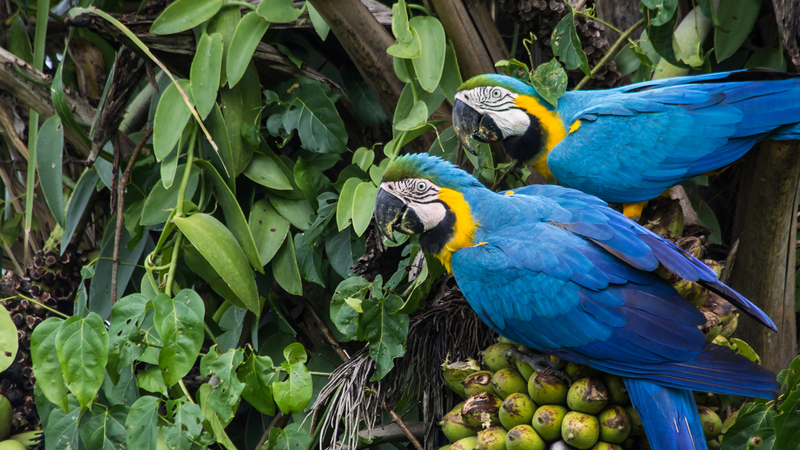 Goal: Save wildlife by convincing companies to stop cutting down tropical forests. Every hour, we’re losing the equivalent of a thousand football fields of forests. We're also losing the animals that depend on these forests for their survival—including the fewer than 400 Sumatran tigers left on the planet as well as the critically endangered jaguar, orangutan and Bornean elephant. Why are so many of these vitally important tropical forests and the wildlife they support being burned to the ground or otherwise destroyed? So some of the world’s largest agricultural commodities companies can trade and sell soybeans, beef cattle and palm oil, much of it for U.S. consumption. That’s a terrible and tragic trade-off. Tropical forests also play a critical role in stabilizing our climate. 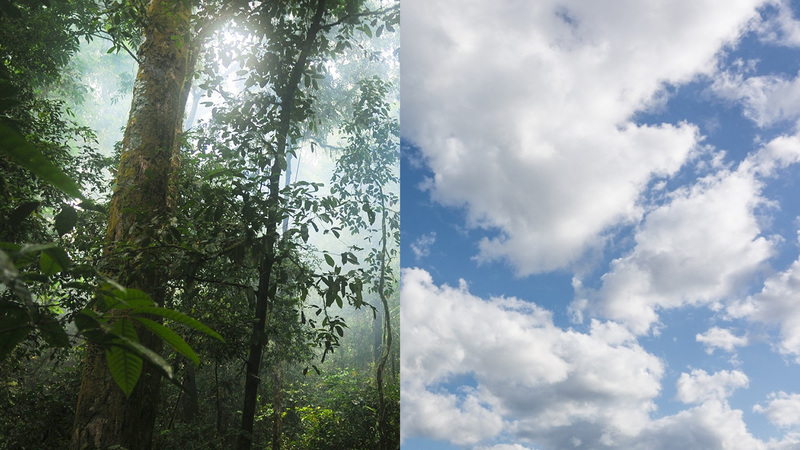 Tropical forests work like the planet’s lungs, breathing in carbon dioxide and breathing out oxygen, reducing global warming and cleaning the air. Cutting down these forests has the opposite effect. The leveled forest stops taking in carbon dioxide. When forests are burned, as often happens in tropical areas to “clear” the land, they release back into the atmosphere the carbon they've taken in over many years. Scientists estimate that razing forests to make way for crops or cattle accounts for 10-15 percent of the pollution that's warming the planet and changing the climate. 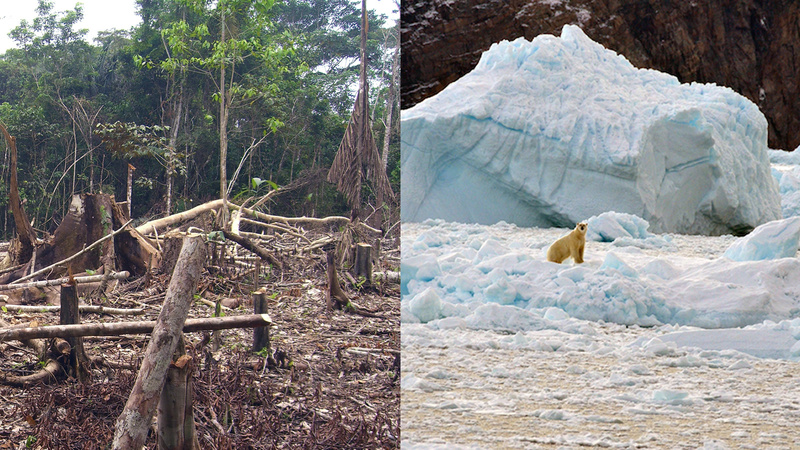 If we want to save endangered species and slow global warming, we must stop burning and cutting down tropical forests. 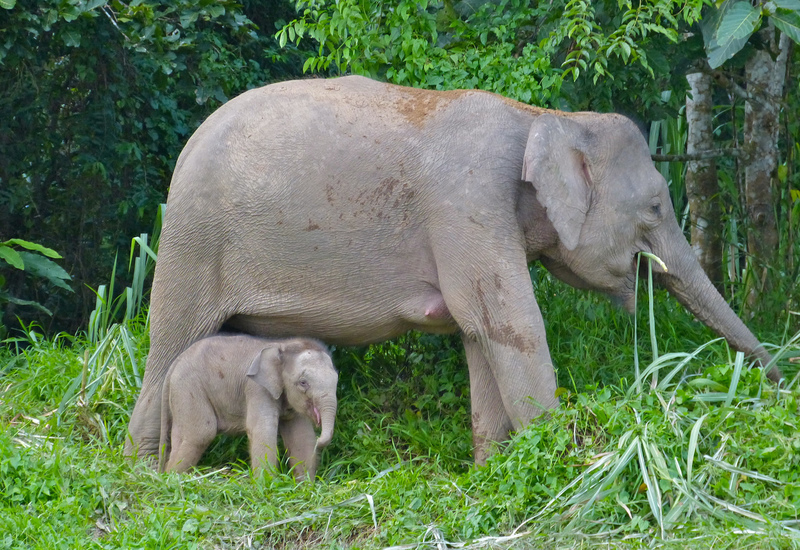 Due to habitat loss, degradation and fragmentation, Bornean elephants are nearly extinct in the wild. It’s a big ask. 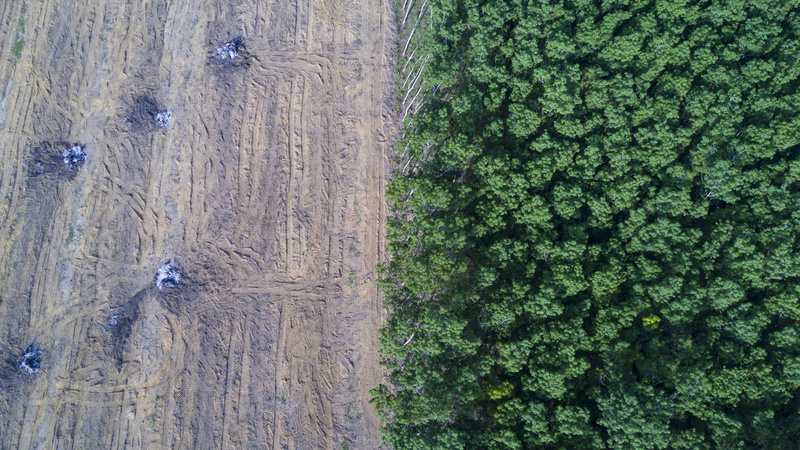 In the past, many companies considered deforestation to be the quickest, cheapest path to profit in the palm oil, soybean, beef and other agricultural commodity industries. But this mindset is starting to change. 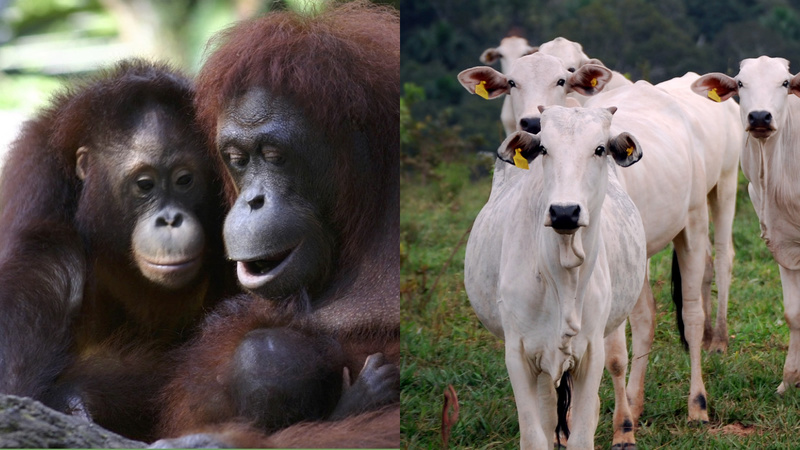 In 2012, only 5 percent of palm oil refineries had committed to zero deforestation. By 2017, after five years of action and advocacy by environmental groups, the number grew to 74 percent. The results: More of the world’s vanishing wild animals stand a fighting chance of survival. And, instead of burned and cut-down forests releasing at least 1.5 gigatons of carbon into the planet's atmosphere, this carbon has stayed in the ground. Now we’re applying consumer demand to convince companies in the soybean and beef industries to commit to zero deforestation and, once they have committed, to hold them to that promise. These companies grow soybeans and raise cattle primarily in Latin America, but they include companies based in or doing business in the U.S., such as Cargill, Bunge and McDonald’s. Drag the image to view more: A cattle ranch is cut out of tropical forest in Ecuador. Protecting the world's forests is one of the simplest and most effective ways of saving endangered animals and slowing down global warming. We see the world’s tropical forests as vital resources to be protected, not exploited as species disappear and the planet overheats. If you agree, please join us. We see the world’s tropical forests as vital resources to be protected, not exploited, as species disappear and the planet warms. As a major player in the world's food business, Cargill has the opportunity to lead a shift to zero deforestation. Join us in calling on Cargill to end its role in tropical deforestation.